Professor Noëleen Murray , The University of Witwatersrand, Johannesburg, South Africa. Raging wild fires, drought, big weather patterns and urban unrest – renewed protests, burning of trains and busses, land invasions and contestations over private property and development. These have been the issues sending shock waves through the South African press in the last months, where cities across the county have been faced with renewed crises of ‘service delivery’, ‘disaster management’ and all at once the question of the promise of the post-apartheid has become terrifyingly, devastatingly erased. Thinking through the question of South African space right now, through the notion of being Unsettled, I shall bring together illustrations of how the interplay between forms of spatial practice and resistance to these practices have played themselves out. 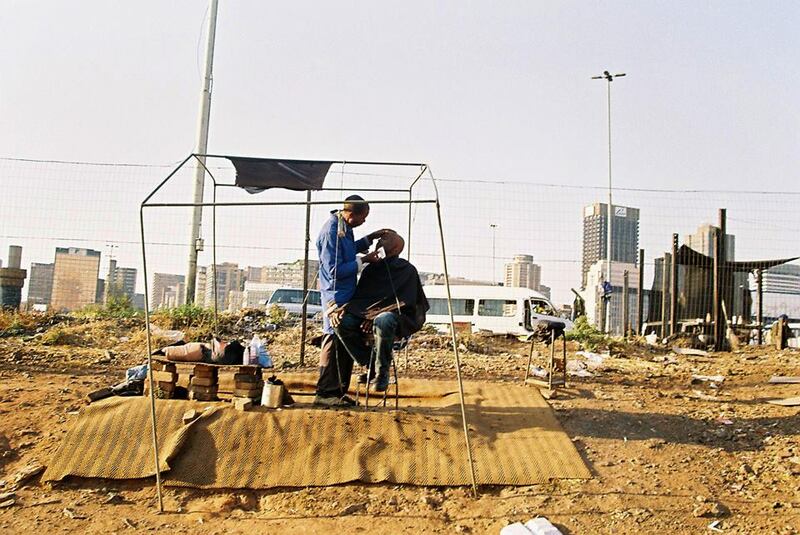 In thinking anew about material realities and public processes at play in the post-apartheid city, I shall argue that growing inequality and state failure are affecting and complicating the lives of poor and rich alike. From the violence at the mine in Marikana to the almost daily scenes of evictions from occupied buildings in the inner city of Johannesburg, and from the protests in working class areas like Eldorado Park, to the perfect storm and raging wild fires that have surrounded the drought stricken province of the Western Cape – I shall be working with notions of how the histories of settlement and the settler state underpin the present, and how these might and might not resonate with Australian realities. Noëleen Murray is the Director of the Wits City Institute at the University of the Witwatersrand, Johannesburg, South Africa. She holds the Andrew. W. Mellon Chair in Critical Architecture and Urbanism. Her key academic books include Desire Lines – Space, Memory and Identity in the Postapartheid City (2007); and Becoming UWC, Reflections, pathways and the unmaking of apartheid’s legacy (2012). Her most recent book, Hostels, Homes Museum, memorializing migrant labour pasts in Lwandle South Africa, co-authored with Leslie Witz, appeared in 2014 and was awarded the Michael M. Ames Award for Innovative Museum Anthropology by the Council for Museum Anthropology of the American Association of anthropologists. Her work offers a reading of architecture under and after apartheid. Current projects in Johannesburg extend this interest in architectural history as well as her passion for gathering spatial archives.